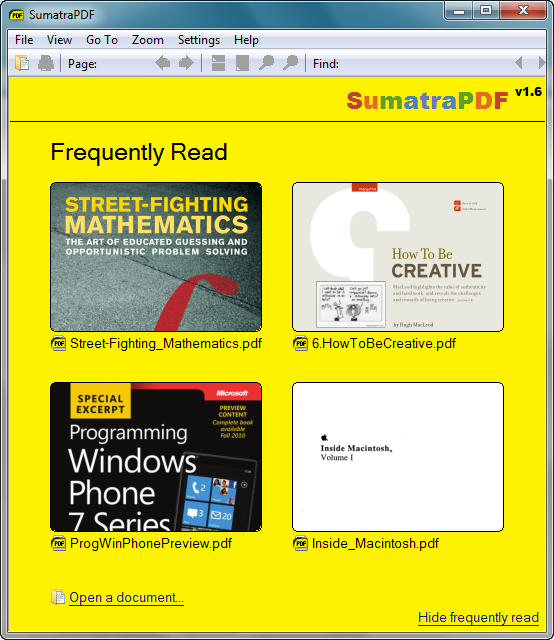 Sumatra PDF is small and starts up very fast. Simplicity of the user interface has a high priority. Portable version included (a single executable that can be run e.g. from USB drive and doesn't write to registry).